Backwards Beekeeping comes to New York City! 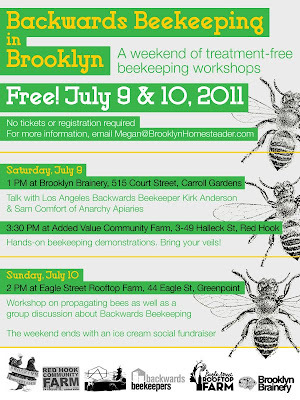 Kirk will be heading to New York City July 9th and 10th to help introduce Backwards Beekeeping to New York City. Sam Comfort of Anarchy Apiaries will also be on hand, no doubt with his ukelele as well. 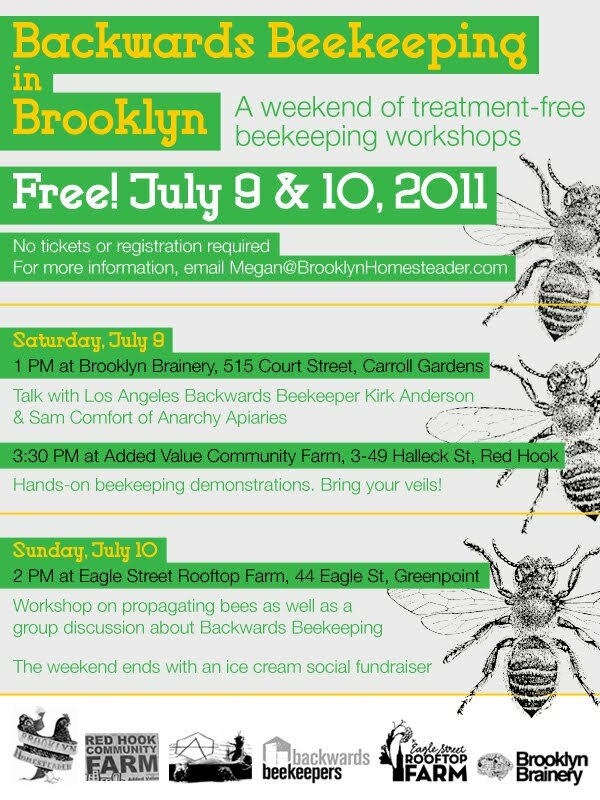 If you’re anywhere in the vicinity and want to learn about treatment-free beekeeping, Brooklyn is the place to be!